The idea for Lawyers against Abuse (LvA) began long before the organisation opened its doors. Their shock learning that abuse was both wrong and illegal confirmed what lawyers, psychologists and activists in the field of GBV have known for decades: the problem is not a case-by-case issue. The problem is systemic. While the perpetrators of this abuse are guilty, so too is the system that legitimizes and normalizes violence against women and girls in the sanctity and safety of their homes, workplaces and schools. This realization laid the foundation for what would ultimately become LvA, a community-based centre where GBV victims receive integrated legal and psychosocial support from trained professionals who have a deep understanding of the systemic nature of this problem. In late 2011, this idea became a reality as LvA was formed. What started as a group of three women quickly expanded to include powerful, professional visionaries dedicated to this cause. Over the next few years, the founding board members worked tirelessly to develop the LvA model, handle individual cases, raise funds and expand LvA’s networks, giving generously of both their time and talent. 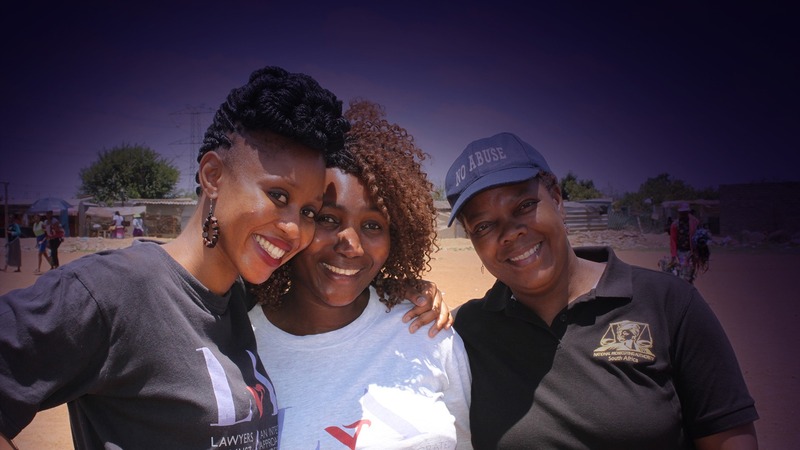 In 2014, LvA began focusing its work in Diepsloot, an informal settlement north of Johannesburg, rife with gender-based violence. In 2015, LvA opened the doors of its first community-based centre in Diepsloot. Since that day, LvA has provided legal assistance and/or psychosocial support to hundreds of victims of abuse, worked collaboratively with dozens of local state actors and empowered thousands of community members with the information they need to take a stand against GBV. Most importantly, our time in Diepsloot has proven that the LvA model works. Through committed and consistent engagement within a dedicated area, LvA has built trust with community members, developed a nuanced understanding of the specific gaps and challenges facing this community and established strong partnerships with local service providers and state actors. This has allowed LvA to not only provide critical assistance to individual victims of violence, but also to address the broader systemic issues that lead to violence in the first place and that allow it to persist. By replicating the blueprint developed in Diepsloot, LvA hopes to open centres throughout the country in the coming years to ensure that no victim of violence ever has to walk this road alone.